Research proves women who take supplements get pregnant faster and have better pregnancies. The science is in – it’s important for both men and women to take supplements to prime for pregnancy. Here’s an example of a study from Stanford that showed that thirty women between the ages of 24 – 46 who had not been able to conceive, were far more likely to after taking supplements. There was a 30% pregnancy rate in the supplement group, vs 0 pregnancies in the placebo group. There are countless more studies showing the benefits of specific key nutrients on both male and female fertility. It’s important for men to supplement for fertility as well. In my clinic, I see this all the time – results are significantly improved among those taking supplements. It’s common sense, really – the healthier the person, the healthier their genetic material (eggs and sperm), the healthier the pregnancy and child. Which supplements and vitamins are most important for fertility? I’ve combed the research and carefully crafted these recommendations based on the latest research and my many years of clinical experience in helping fertility-challenged couples to get pregnant. Here are my recommendations for the most effective and current nutritional approaches to fertility, based on my findings and experience. When should you start taking fertility supplements? The quick answer – at least three months, and even longer is better. It takes about 3 months for both eggs and sperm to mature, therefore taking supplements for at least 3 months before conceiving improves the quality of your eggs and sperm and improves your chances of conceiving faster and having a healthy pregnancy. The quality of supplements is extremely important. Vitamins and supplements are not regulated, and there is a huge range in quality. Be sure to use a brand that uses quality ingredients, organic products, and is research-based. You could be throwing money away and wasting time swallowing a bunch of pills every day if they’re not quality supplements. I recommend the brand Metagenics. They are top-notch and can only be purchased through a healthcare provider. If you’re in the United States, you can purchase them through me and get 20% off your first order. Another great brand is Seeking Health, and they ship internationally. 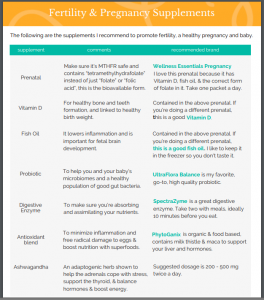 >> Click here to download my Free PDF Guide of recommended supplements for fertility. It’s only 2 pages, easy to understand, with links to my favorite products. 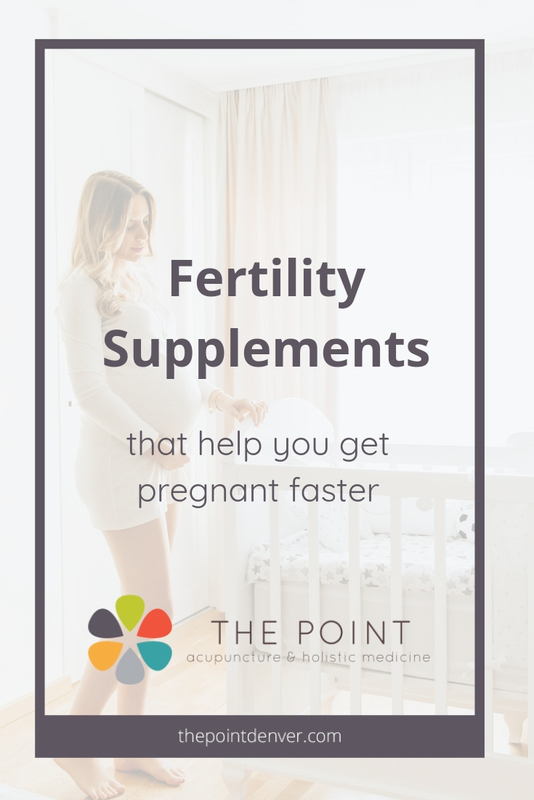 It includes the fertility supplements I recommend for everyone to help get pregnant faster, plus recommendations for specific scenarios like supplements for PCOS, fibroids, low progesterone, and supplements for boosting egg quality. Looking for a Denver acupuncture clinic to help you with all of your general health, fertility, chronic pain, gynecological, and/or digestive needs? Contact The Point today at 720.523.3351 or book an appointment online. Hi! 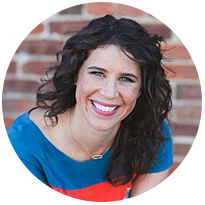 I’m Katie Altneu, an acupuncturist, herbalist, and holistic women’s health expert.